The Hallis Origins range brings a superb wooden curtain pole collection in various colours and finials to suit any home wanting to bring a touch of elegance to their living space. 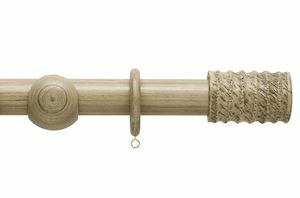 The Fossil Barrel curtain pole is a unique wooden pole set that will complement any home interior wanting a contemporary finish. 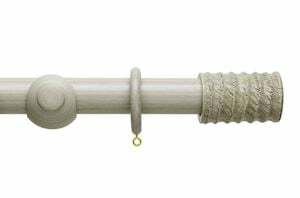 This Hallis 45mm Origins pole set is supplied with a pair of Fossil Barrel finials, wooden pole, rings and brackets. 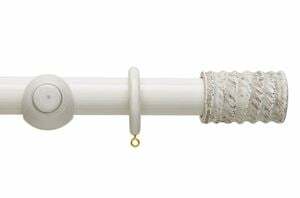 Assembling instructions and fittings are included in this pole set. 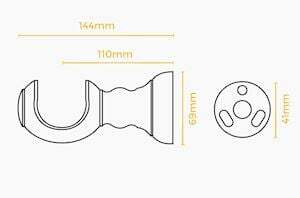 The number of rings and brackets will vary with the pole length. Please check the specification table for further information. Poles of 300cm size and over are supplied in 2 pieces. The poles are connected using the double ended screw and the visible seam is hidden by the third bracket. 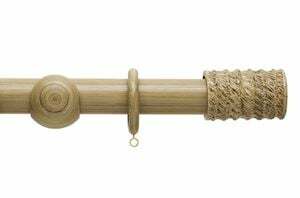 Please note the pole length of each wooden curtain pole set is reference to the pole only. All poles are easily cut down using a fine-tooth hack saw. 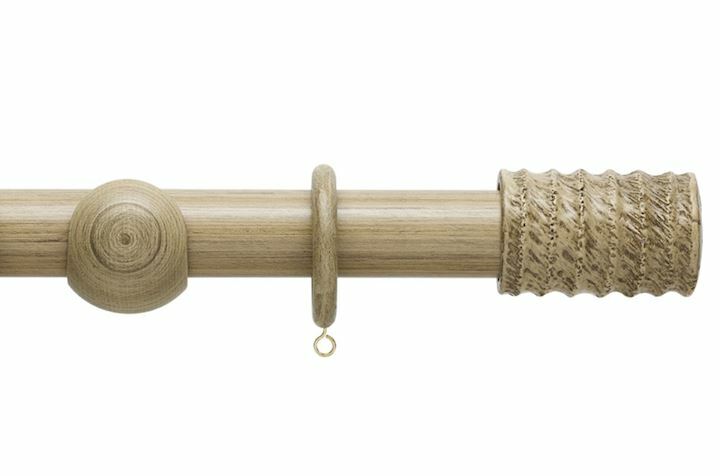 This wooden curtain pole will hold heavy curtains. The brackets are non-adjustable.